This file folder game features an EMMA add on to the ARMOR OF GOD girl. YOU WILL NEED THE GIRL ARMOR OF GOD GAME, AS THIS GAME IS ONLY THE CLOTHES. 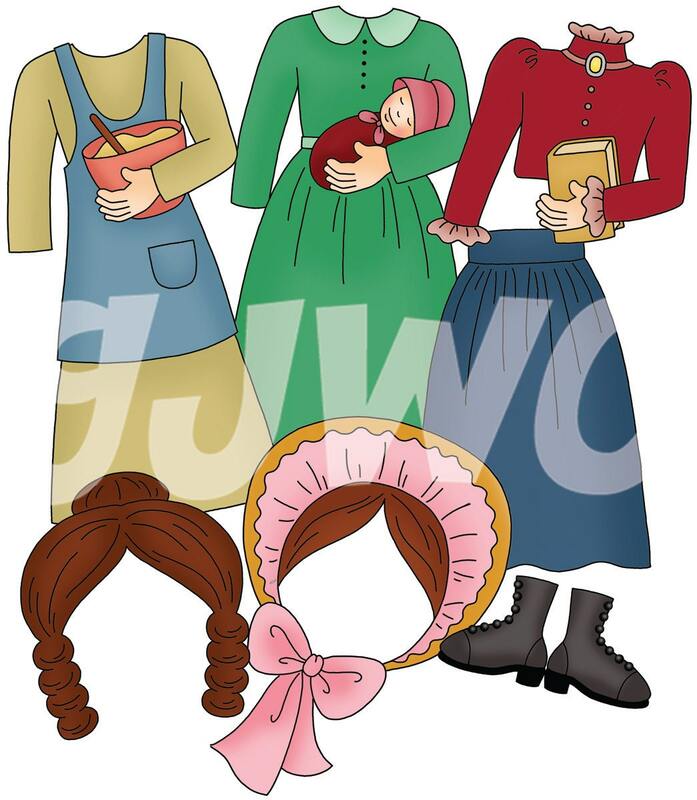 Your child will enjoy dressing the girl in pioneer " Emma" clothes in this cute file folder game. In this game you get a 3 different outfits for the girl. Everyrthing comes full color, ready to print and cut out. Everything fits on an 8 1/2" x 11" sheet. There are instructions included on how to make it, and how to play with it. You can print them yourself, or take them to Walmart, Staples, or somewhere similar to have them printed. If you laminate the game or use clear contact paper it will last for years of enjoyment! I printed this on sticker paper to use in a devotional, and I absolutely ADORE how it turned out!! Thanks so much!